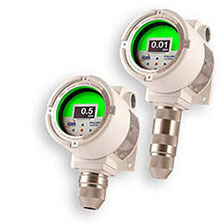 PIDs are the most frequently used on-site detection instruments for volatiles at the parts-per-million (ppm) level. Since many environmental sites are of concern due to volatiles – from petroleum products or chemical usage – the PID is a necessity for providing instrumentation that will work effectively on-site. PIDs are most commonly used for the detection of volatile organic compounds (VOCs). Geotech offers a wide variety of PIDs from leading manufacturers. 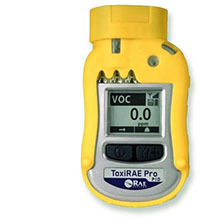 The MiniRAE 3000+ and ppbRAE 3000+ are the most advanced handheld volatile organic compound (VOC) monitors on the market. 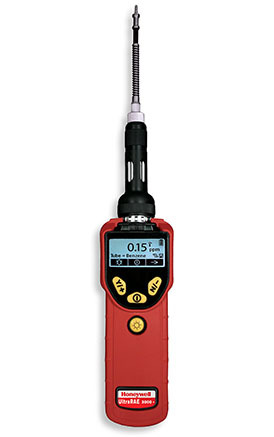 Their photoionization detector's (PID) extended range of 0 to 15,000 ppm (1 ppb to 10,000 ppm – ppbRAE 3000+) make them ideal instruments for industrial hygiene, leak detection and HazMat. 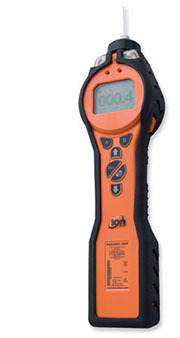 PhoCheck Tiger is the most advanced handheld photoionization detector (PID) with the widest measurement range on the market for volatile organic compounds (VOCs). The PhoCheck Tiger is fully upgradeable with multiple functions from which to choose. The instrument can be used across a wide range of industries and applications including environmental, petrochemical, hazmat and confined space entry. FALCO is the latest generation of fixed photoionization detectors (PID) that continuously detect a wide range of volatile organic compounds (VOCs). Unique to FALCO is its revolutionary Typhoon Technology safeguarding the sensor from condensing moisture for added reliability in severe weather conditions! 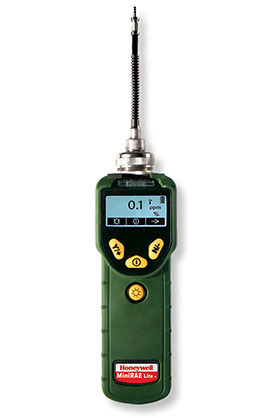 The MiniRAE Lite+ is the most reliable handheld volatile organic compound (VOC) monitor on the market. 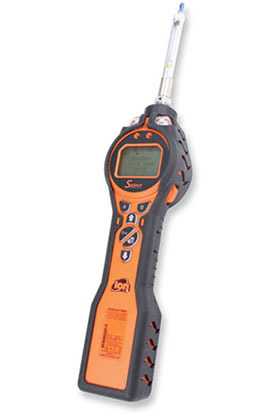 Its photoionization detector's (PID) range of 0 to 5,000 ppm makes it an ideal instrument for applications ranging from environmental to construction. 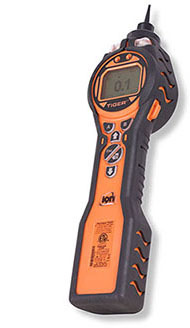 This variant of the hugely popular Tiger VOC detector is low on cost but high on performance. Its revolutionary, patented PID sensor technology with humidity resistance and anti-contamination design provide market leading accuracy and run time. Combined with 24 hour battery life, these features maximize field time by minimizing erroneous readings in high humidity and drift in harsh environments. 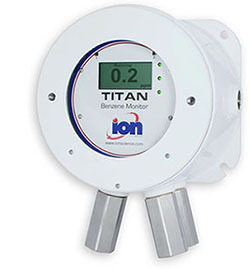 The Titan is the first fixed, continuous, real-time benzene specific monitor on the market. Designed to specifically detect benzene ranging dynamically from 0.1 ppm to 20 ppm in petrochemical environments, providing the ultimate safety monitor for plant and workforce. The UltraRAE 3000+ is the most advanced Compound-Specific Monitor on the market. Its Photoionization Detector's (PID) extended range of 0.01 to 10,000 ppm in VOC mode and 10 ppb to 200 ppm in benzene-specific mode makes it an ideal instrument for applications from entry pre-screening during refinery and plant maintenance to hazardous material response, marine spill response and refinery down-stream monitoring. The Tiger Select gives fast, benzene specific, or Total Aromatic Compound (TAC) detection providing accurate, reliable data. 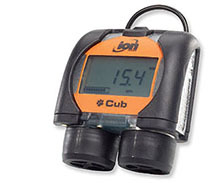 The Ion Science Cub is the world's smallest, lightest personal PID monitor for the accurate detection of volatile organic and total aromatic compounds. With market leading parts-per-billion (ppb) sensitivity, Cub gives an indication of harmful gases including benzene before they reach levels which are harmful. Cub is available in three distinct variants; ppm, ppb and TAC mode. Choose a ppb or ppm instrument with 10.6 eV lamp for accurately detecting a wide range of VOCs dependent on your sensitivity requirements. CubTAC with 10.0 eV lamp gives accurate detection of total aromatic compounds (TACs) down to ppb levels.